Pretty Purplexing: He is SO grounded! Brandon has been giving us an extremely hard time this year. He was always a good student with minor issues we had to address with him. Now he is a freshman in high school and the hormones must be kicking in. He hasn't taken his grades seriously. His behavior towards teachers has been UNACCEPTABLE! He shows them a lack of respect. He even told one teacher to "Chill Out"! OH YES, he did! Another teacher gave him detention and he didn't show up for it. He has been late to school NINE times because he has missed the bus. Last week he missed the bus and I took away phone, computer and xbox. He still had TV. Obviously it didn't work because one week later he missed the bus again. This time I took away phone, computer, xbox and TV. He is also going to be benched at this weekends hockey games. I spoke to two of the coaches and they are on board with my decision. I was glad to have them agree. 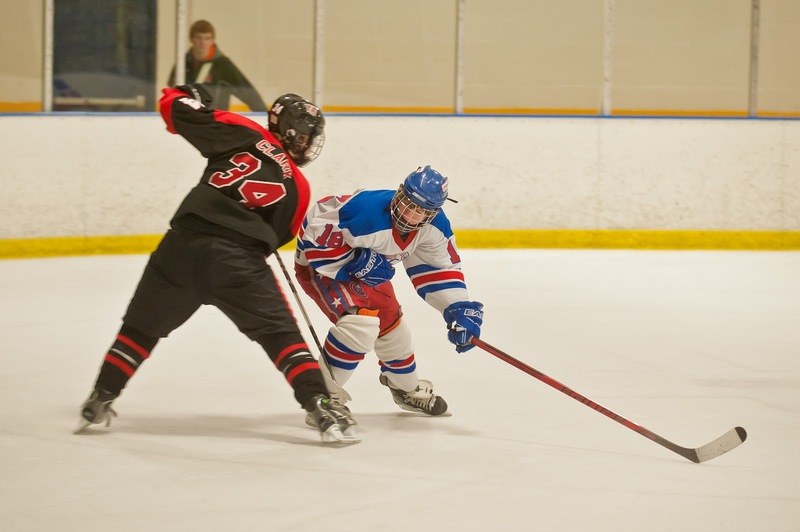 Brandon is one of the better defensemen on his High School team and I thought he may not like the idea about benching him. One coach said "working hard off the ice is just as important as working hard on the ice" and is going to talk to Brandon in school today. Being benched is going to hurt him the worst. He loves hockey! I am hoping he gets the point and straightens out! Last night he tried bribing me to get his phone back. NO DEAL - THE PHONE IS MINE! Hope he learns his lesson this time! P.S. If you can sneak some pictures of him, that would be HILARIOUS! Just a thought. Oh my....I so am not looking forward to the teen years. We've had some trouble with our son - he seems to have gotten the message now - and hopefully that will be a good foundation for those rocky, hormone-fueled years. I think made some excellent calls there! I don't envy you. Teenage years are hell. I think being sidelined at hockey and having his coach talk to him, might FINALLY make the point. Hoping the situation improves. meanwhile, don't give into bribes. LOL Take care. Oh the teen years are so challenging. Fortunately Ron and I missed the cell phone years for all but the youngest 2. When I married Ron he came complete with 5 kids, 4 girls and 1 boy. They ranged from age 3 to 12 when we married so I pretty much helped raise them. There were MANY incidents of bad behavior but with Craig, when we took away his car after he misbehaved he, at age 16, got some guy on a derelict used car lot to sell him a piece of junk car which he proceeded to paint with the colors of the Jamaican flag. When he "hid" from us by parking it in the lot of a nearby church, which the pastor called Ron and asked him why Craig was doing such a thing. Then he parked it in front of our house, we sold the used car we had bought him, THEN we revoked his driver's license... you can do that in Alaska if your child is under the age of 18.